NEW HAVEN, Conn. (AP) — Elizabeth Wilson, who built a career as a character actress in films such as "The Graduate" and "9 to 5," has died. She was 94. 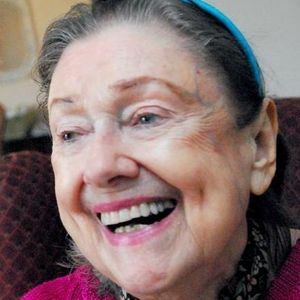 Wilson, who lived in Branford with her sister, died Saturday at Yale-New Haven Hospital, actress Elizabeth Morton, a spokeswoman for the family, said Monday. Add your thoughts, prayers or a condolence to Elizabeth's guestbook. "A wonderful and talented lady of the screen has left us. Oh, but the enjoyment of watching her do what she loved, so well. Our loss is heaven's gain! My deepest condolences to her family and other fans.....we will all miss her." My thought and prayers include you - I pray for your comfort and ..."